I was browsing the cake aisle at the supermarket, which is typically one of the places I linger for the longest during most food shopping trips. I was busy daydreaming about cakes when I decided a Battenberg, has for too long, been square and I wanted to give this delicious little cake a makeover! So say Hi to the Batternberg Cupcake! Everyone is obsessed with cupcakes these days and I don’t think there is anything wrong with that at all, you can have so much fun with cupcakes and the possibilities for this tiny little cake in all it’s forms are endless. So I am hopping aboard with all the cupcake crazies and presenting my version of a super yummy little cake! Add the softened butter, milk, eggs and vanilla and mix thoroughly to form a batter free from any lumps. 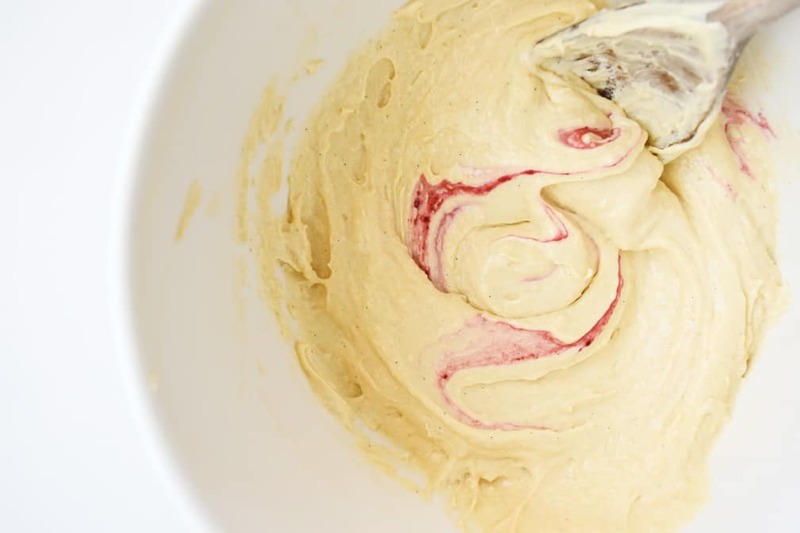 Divide the batter into two portions and colour one with the red/pink food colouring until you reach your desired colour. 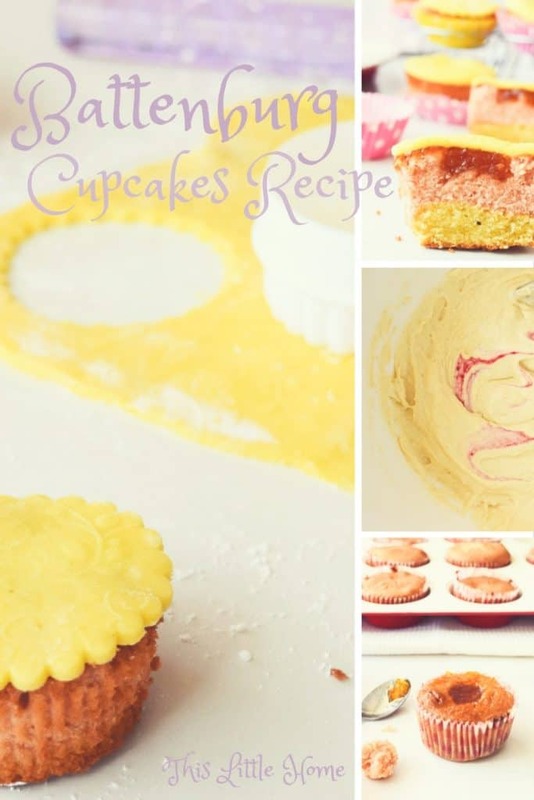 Place a heaped spoonful of non coloured batter into each cupcake case and place in the oven for 10 minutes. Remove from the oven and top with an equal sized spoonful of pink batter. Place back in the oven for another 10-15 minutes. To test that they are cooked, pierce with a knife and it should come out clean. Leave your cakes to cool. 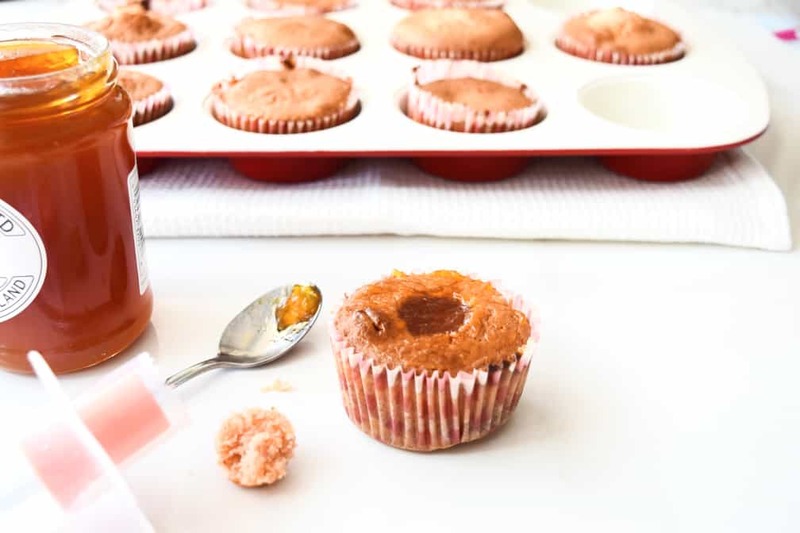 Once they are ready, core your cupcakes and spoon some apricot jam into the hole. Spread some more over the top, this will help the marzipan to adhere to the surface of the cake. Roll out your marzipan on a surface dusted with icing sugar to help prevent sticking. Cut out circles using a cutter and gently place them on the top of each cake. Mix flour, sugar, ground almonds and baking powder in a bowl. Add the butter, milk, eggs and vanilla and mix thoroughly to remove any lumps and form a batter. Divide the batter into two and mix some food colour into one portion until you have your desired pink colour. 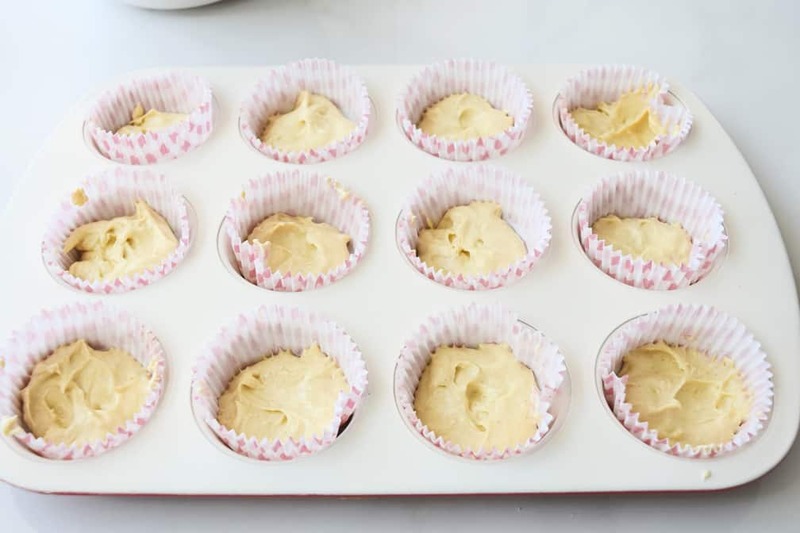 Place a spoonful on the non-coloured batter into each cupcake case and put in the oven for 10 minutes. 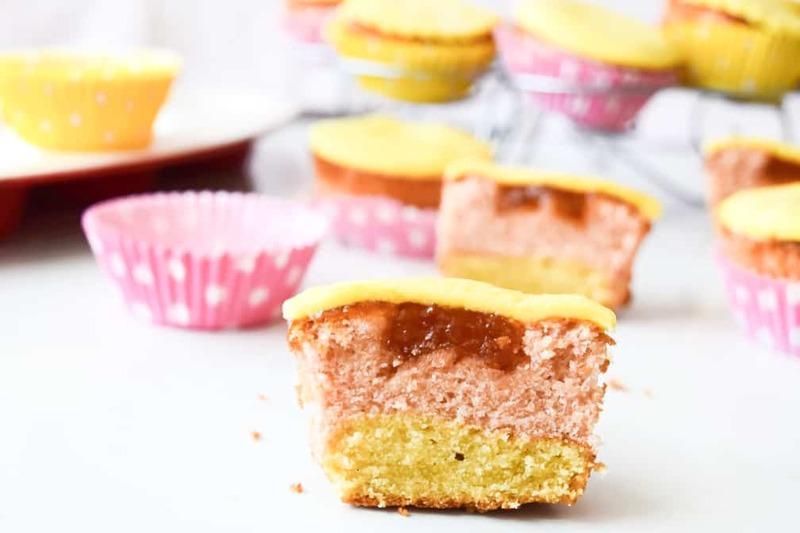 Remove cupcakes from the oven and spoon the pink batter on top in the same quantity and return to the oven for another 15 minutes. Core each cupcake and fill with apricot jam, spread some more jam over the surface of the cupcake to allow the marzipan to adhere to it. Roll out the marzipan on a surface dusted with icing sugar to stop it sticking. 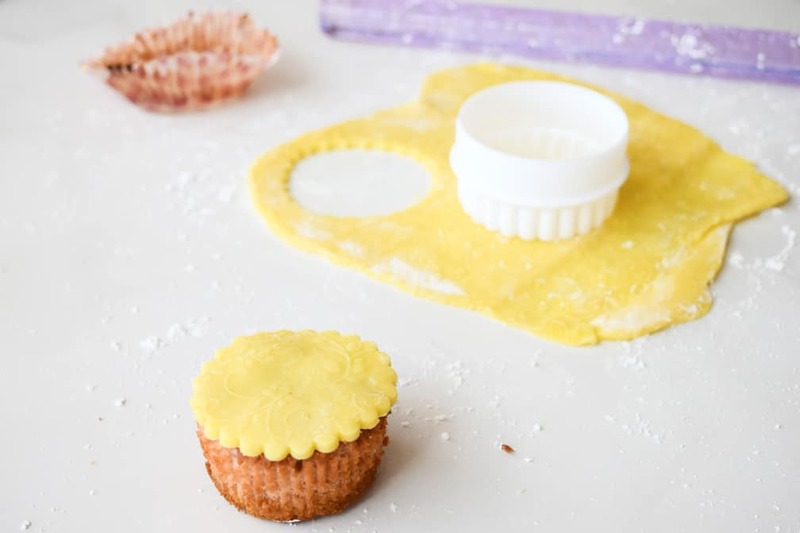 Using a cutter, cut an appropriately sized round piece of marzipan for each cupcake and place on top, sticking it to the jam coating.